ailing from the central African country of Uganda, singer/songwriter Samite doesn't fall into any of the familiar categories Western audiences are familiar with. He's not West African highlife or juju, nor South African mbaqanga or mbube. He's not even really of the more generic Afro-pop style. Instead, Samite plays a gently lilting music  polyrhythmic as is much music from Africa, but not nearly as syncopated as many of the dance-ready acts American listeners may be familiar with. Of course, the whole idea that "folk" musicians from whatever neck of the woods they hail from develop in some sort of isolation from the rest of the world is nonsense, anyway  always has been. In fact, on some songs on his new CD, Samite has such a low-key, mellow approach he sounds more like an American coffee shop folk singer than African griot. 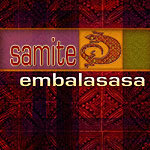 But with his lush melodies, rich vocals and the lovely guitar and kalimba playing, the music of Samite doesn't have to seem familiar to be appreciated.